Get complete data converted: Emails, contacts, calendar, etc. OST to PST converter program is built to render the complete recovery of offline storage files. Any corruption or permanently deleted file contents are recoverable using the tool. The retrieved data can then be restored for future use. Restoration of recovered OST file contents is done within a new software-generated Outlook PST file. The OST file storage structure is synched with that of the PST and data is stored in the respective component folder. The Offline storage or OST file once processed is loaded and displayed on the software UI. The preview visuals are similar to that of Microsoft Outlook. Moreover, both emails as well as their associated attachments can be previewed individually in separate tabs. The OST to PST Converter Software has the capability to remove S/MIME and OpenPGP encryption from OST email messages with ease. The users just have to check the “Remove Encryption” checkbox to use the feature. Select File – Convert single OST file at a time. Search File – Offers users to automatically search files from a selected drive or all the available drives. The software can easily extract permanently deleted data from OST file. It can restore all the items such as emails, contacts, calendar, etc. Moreover, the deleted items which are recovered are displayed in Red Colour. OST to PST converter program is programmed to process OST without the requirement of server environment. The application works independent of the server platform and yet offers access, preview, recovery and conversion of OST. The application is built to offer the conversion of all data collectively. OST files store emails, contacts, calendar entries, tasks, & more. Yet, no compromise is made and all data is included during conversion. The metadata and attachments are also retained. During the export of data from recovered offline storage to PST storage, the software offers a number of additional customizations. One can apply filter for selective mail export, use desired file naming patterns, split output PST for manageability & do more. Outlook keeps upgrading and the same pace is maintained by the software too. Therefore, 2019 as well as all below versions are supported by OST to PST converter for OST Recovery & conversion to PST format. Watch Video to Know How does the Product Works? Is it possible to recover permanently deleted data too? During the processing of OST file, the software recovers any/all corrupt as well as permanently deleted contents automatically from the file. Moreover, the application displays the recovered items in Red Colour. Therefore, it is possible to retrieve data lost due to deletion too. How can the OST file contents be used after recovery? The OST to PST Converter application generates a PST format file for storing the recovered contents of OST file. This PST file is generated consisting of all OST file contents along with metadata retention. Will I be able to get back all data lost from my OST file? OST to PST software ensures completely retrieval of all OST file contents safely from the source to destination storage, i.e. PST. Do I need to have Exchange Server environment during recovery? No, the software works independent of Exchange Server environment and doesn't require its availability during recovery or conversion. I have multiple OST files in my system. Can I convert multiple OST files in one go? Yes, this OST to PST Conversion tool allows users to export several OST files at one time and those files can be exported into separate PST files in an easy way. "Despite looking out rigorously for a OST file recovery solution, we failed at it. 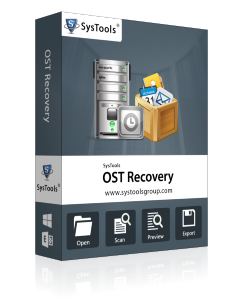 However, once we came across OST to PST recovery and conversion tool, we immediately bought it. 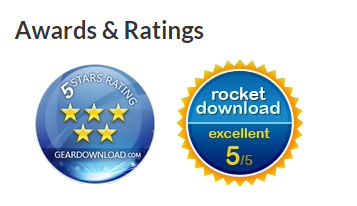 Considering the way it worked during the demo usage, we were already satisfied." "OST to PST conversion was our requirement but the corrupt state of the file made it impossible for us to proceed any further. However, with the mere but majorly helping use of OST Recovery tool, we were again able to access our OST contents. Thanks!"